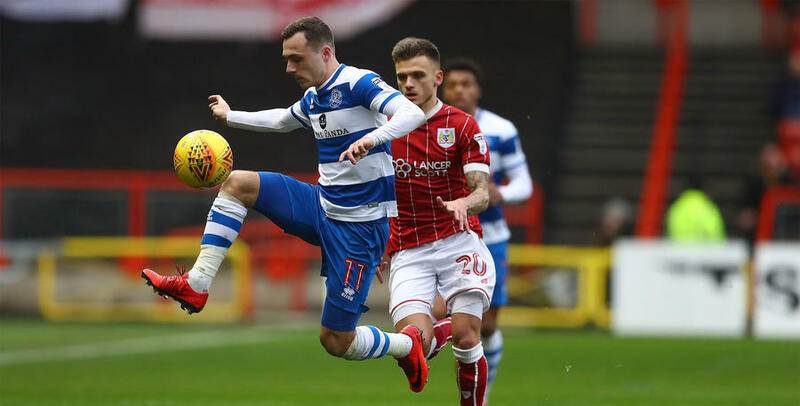 QPR went down 2-0 to Bristol City at Ashton Gate this afternoon, despite the hosts being forced to play almost an hour of the game with ten men. With the match still goalless, Nathan Baker was shown a straight red card on 32 minutes for a late challenge on Josh Scowen. But just before half-time City took the lead when Famara Diedhiou headed home from a corner, and that advantage was doubled on 66 minutes through Joe Bryan. 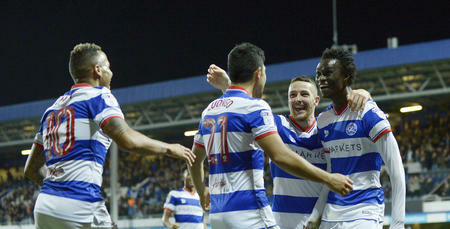 It proved an unassailable lead on a frustrating afternoon for QPR. Ian Holloway made one change from the side that lost against Middlesbrough seven days ago, with Alex Baptiste coming in at the expense of Joel Lynch. 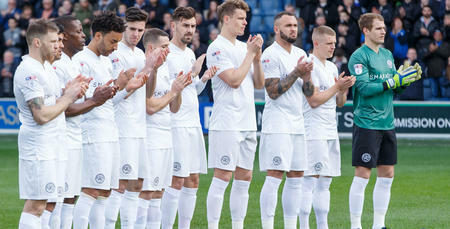 It meant Alex Smithies lined up between the sticks behind a back three of Nedum Onuoha, Jack Robinson and Baptiste. Jake Bidwell operated as a left wingback with Darnell Furlong continuing in a similar role down the right. Josh Scowen, Massimo Luongo and Luke Freeman lined up in the centre of the park behind a front two of Conor Washington and Aramide Oteh. Meanwhile, the hosts made three changes from the side that gave such a good account of themselves against Manchester City here in the Carabao Cup semi-final just four days ago. Baker, Diedhiou and Ryan Kent came in for Hordur Magnusson, Josh Brownhill and Liam Walsh. 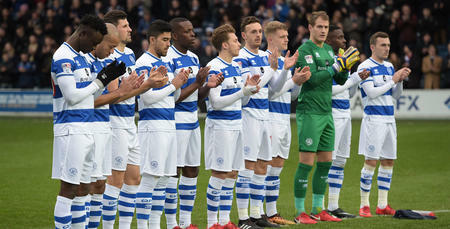 QPR came to Ashton Gate looking to continue their good recent form on the road which had yielded seven points from their last four fixtures while the Robins wanted to show there was no evidence of a cup hangover following their mid-week exploits against Pep Guardiola and co.
After an opening ten minutes in which neither side were able to create any chances of note, the hosts began to enjoy the lion’s share of possession but were limited to long-range efforts which Robinson, Baptiste and Onuoha were happy to block. On 12 minutes Diedhiou looked to have got in behind the R’s rearguard but Robinson did brilliantly to get back in position before winning a crucial tackle to deny the City forward. The hosts began to play with a confidence befitting a side that had performed so well against the country’s top side and Rangers were now being forced to work hard to contain them. Smithies punched away Joe Bryan’s in-swinging centre from the right on 21 minutes while Jamie Paterson’s low centre from the same side ten minutes later was narrowly missed by Diedhiou. On 32 minutes the hosts were dealt a blow when Nathan Baker was shown a straight red card for a late challenge on Scowen. As the pair of them raced to a loose ball, the R’s midfielder got there first before being cleaned out by the City centreback. Referee Keith Stroud was quick on the scene and promptly dismissed Baker. City continued to press forward which made for a more open game, with QPR looking to exploit the space created by the numerical advantage. Five minutes before half-time Onouha brilliantly blocked Paterson’s fierce volley from the edge of the area. Despite the extra man, Rangers had been unable to create a real chance and on the stroke of half-time it was City who took the lead when Diedhiou diverted Bryan’s corner beyond Smithies from eight yards. It was the worst possible way for the opening 45 minutes to end, giving City something to protect while possessing a real threat on the break. Holloway made his first change at the interval with Matt Smith replacing Baptiste and the R’s moving to a 4-3-3 formation. Oteh found space down the right in the 53rd minute but from a tight angle pulled his shot wide of the far post. Moments later Smith won a freekick when he was pushed on the edge of the box. From the resultant set piece, the ball was cleverly worked to Robinson whose shot was blocked. A goalmouth scramble followed which saw Luongo head goalwards but the ball was blocked and hacked to safety. The R’s had certainly started the second half on the front foot. On 59 minutes, Luongo fed the ball into Smith but the R’s forward was crowded out by three City defenders as he tried to get his shot away. Rangers were now camped on the edge of the City box and Oteh was the next to go close as he saw his shot from 12 yards blocked. The hosts almost doubled their lead when they caught the R’s on the break. Bidwell initially did well to delay their attack before Korey Smith fired a fierce drive which was heading into the bottom corner before Smithies brilliantly tipped it around the post. Straight down the other end, Smith headed over from ten yards as he met Bidwell’s centre with venom but was unable to keep it under Luke Steele’s crossbar. There was a real feeling that a goal was coming although, with the nature of the game, you couldn’t be sure at which end it would happen! And it duly arrived on 66 minutes – for the hosts. Korey Smith created space with a brilliant turn in the middle of the park before sliding the ball into Diedhiou. Smithies raced out to make an excellent save but the rebound fell invitingly for Bryan who smashed home City’s second of the afternoon. It was now a long way back for the R’s, but Oteh almost reduced the arrears within seconds of the restart with a neat turn and shot, but Steele was able to save. Holloway made two more changes on 74 minutes, replacing Oteh and Furlong with Ebere Eze and Bright Osayi-Samuel. In an incredibly congested City area, the hosts were happy for Rangers to have the ball to within forty yards of goal. With the central areas filled with bodies the visitors were looking to creat opportunities by getting down the sides. On 82 minutes, Luongo saw his shot from 18 yards deflect off Onuoha in the area and bounce just wide of the post with keeper Steele beaten. City were able to see the remaining minutes of the game out, protecting their goal well while looking dangerous on the break as the R’s were forced to commit more and more players forward. Matt Smith headed straight at Steele late on but it proved to be a day of frustration for the R’s. 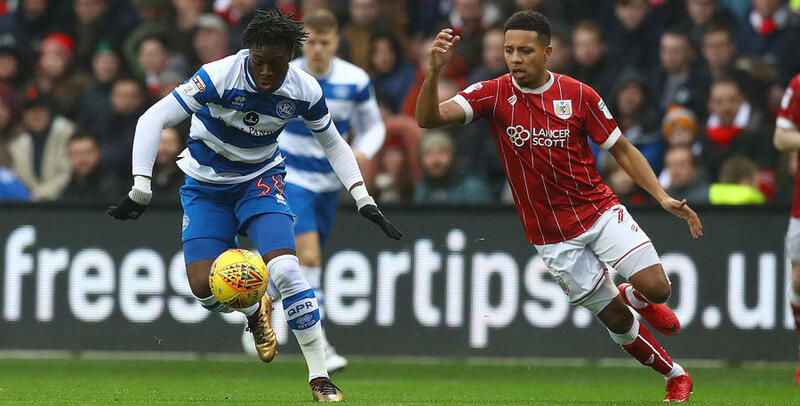 WATCH highlights from QPR's 2-0 loss at Bristol City.